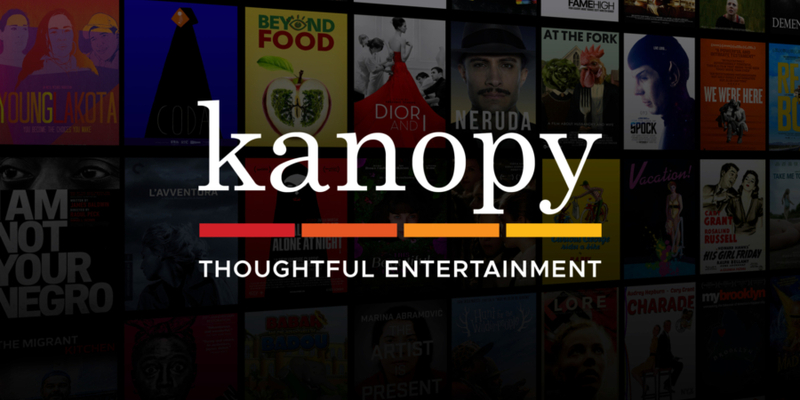 Watch over 26,000 films on Kanopy! Through Decatur Public Library, you can watch must-see classic film from The Criterion Collection, learn about every subject imaginable from The Great Courses and PBS, or indulge in festival indie or world cinema sourced from award-winning filmmakers globally. Kanopy makes it easy to watch any time, to share and discuss films. You can watch a maximum of 10 videos per month. You will receive 10 play credits every month. Once you press play on a video, you will automatically use one play credit. Play credits reset on the 1st of the month. Once you have used your 10 credits, you will not be able to play any films until the new month starts when you will be given a fresh quota of 10 play credits again. Once you press play on a video, you will have three days to view it as many times as you like without using another play credit. If you would like to watch the same video after the three days have passed, you will use up another play credit. Go to Kanopy and create an account by clicking on the orange Sign up button. Add your library card number and PIN (4 digit number). The Kanopy support page gives step-by-step instructions on how to use advanced features such as adding clips to PowerPoint presentation or creating Playlists. The Kanopy support page provides answers to general FAQ. You can also contact Kanopy directly through the e-mail web form or phone number on their contact page. How can I keep track of my videos? You can track your viewing activity by visiting My Dashboard > Recently Viewed. The Recently Viewed page will list every video you have ever watched, even after the 3-day period has ended. If a video is still within the 3-day viewing period, the list will include the amount of time left on that viewing period. Can I create my own video lists? You can save titles to watch at a later date by clicking on +My List. You can access the +MyList option by either hovering over the title, or clicking on the title, either way will work. Titles are then added to your Watchlist. You can see your saved titles by clicking on your username at the top of the page. You can also create and share playlists of videos using the playlists feature. What devices can you use to watch videos? You can watch videos on a computer or mobile device using a web browser. You will need an internet connection to watch videos on Kanopy. Films cannot be downloaded to a computer or device; they only stream through the internet. Can you stream to your television? Kanopy is compatible with the streaming services, Roku. Other alternatives to stream to your television include: Apple TV, Chromecast using an Android/Google device, connecting your computer to your television via HDMI. Can visually impaired users access the films? Yes, Kanopy’s website and video player are both fully compatible with all screen readers on desktop browsers, as well as with iOS and Android devices.